The above extract is an artwork from Jeremy Wood called My Ghost. Jeremy carried a GPS receiver around central London for nine years, gradually building up a “footprint” showing everywhere he went. Certain parks, such as Greenwich Park in the south-east, are distinctive by the large number of thin traces, while distinct London linear features like the River Thames and the Westway, are also clear – the former in the absence of traces and the latter showing up as a very intense line. 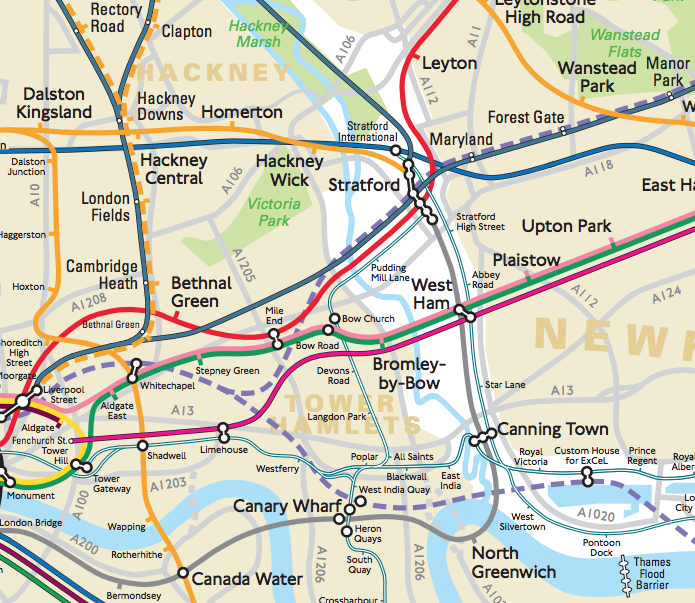 The artwork will be appearing, with many other London-related maps, at The Art of Mapping, an exhibition curated by TAG Fine Arts in London, which will be taking place at The Air Gallery from 14-26 November. TAG Fine Arts have kindly lent me a number of images from the exhibition, from which the above is my favourite. More information about their exhibition – which will undoubtedly be a must for lovers of cartographic art and London maps – can be found on the TAG Fine Arts website. 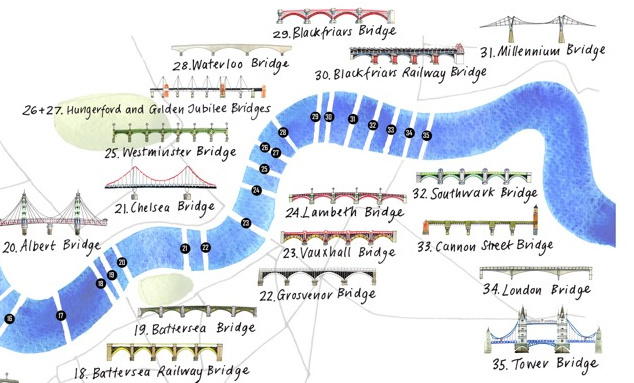 Mapping London will be visiting, not least to spot some new maps and visualisations of London for this blog! 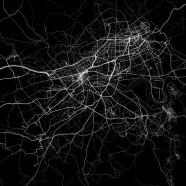 The theme of recording your life’s movements by GPS is one which we know well here at the UCL Centre for Advanced Spatial Analysis. Fabian Neuhaus, a Ph.D student here, as been carrying a GPS for over three years, along with a number of friends, to collect data as part of his work. He writes a blog, UrbanTick. I’m directly involved with a similar project at a different scale, by another UCL Ph.D. I’m carrying a GPS unit 24-hours a day for the next two months, along with around 50 other volunteers. 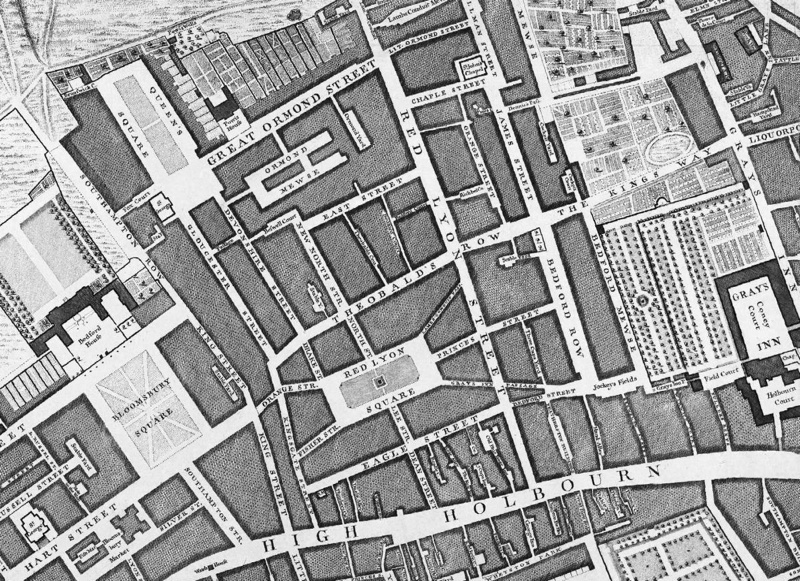 GPS tracks of central London were also instrumental in getting OpenStreetMap off the ground. Coming before a key Yahoo aerial imagery donation, or old out-of-copyright map scans, the first external data source, back in 2006, was a donation by the eCourier delivery company of GPS traces, produced by their van drivers as they moved around London delivering parcels. This provided a key base from which the central London road network could be gradually built up. The map grew out from there and now covers much of the world in much greater detail than Google Maps et al. Here’s another artwork that will also be appearing in the exhibition, which I love – can you guess what it is? You’ll kick yourself when you realise. If you know, leave a comment! If you are not sure, I’ve left a clue as the first comment. Both images courtesy of TAG Fine Arts. 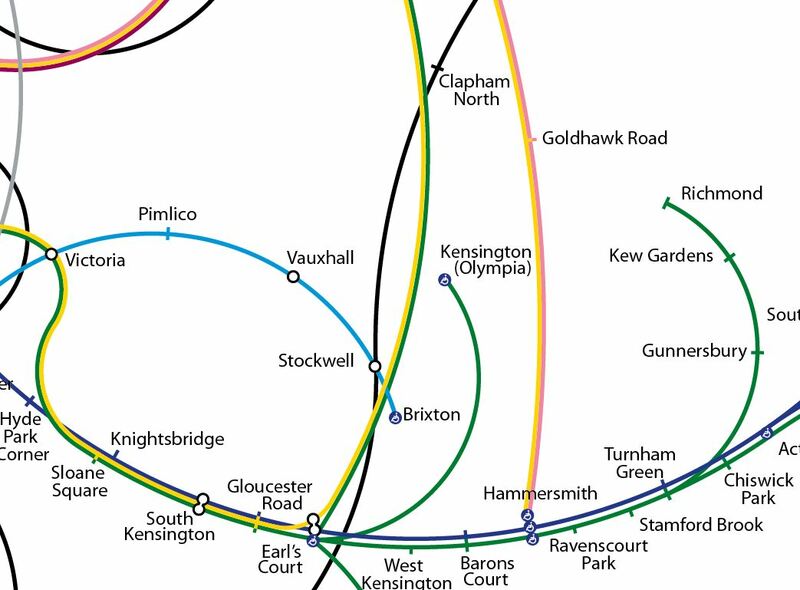 The central part of it makes me think of where the Central and Piccadilly Line meet at Holborn… is that a history of tube journeys with lines getting wider with frequency of travel? UK mainline national rail network, think it might be upside down. I’m with Gideon — try turning the map from http://www.nationalrail.co.uk/passenger_services/maps/nationalrailnetworkmap.pdf around in your head and pruning away some of the ‘excess’ routes. I can’t quite figure out how they decided which routes to prune though?